← Barbour’s Medicaid claim, more than a little off the mark? 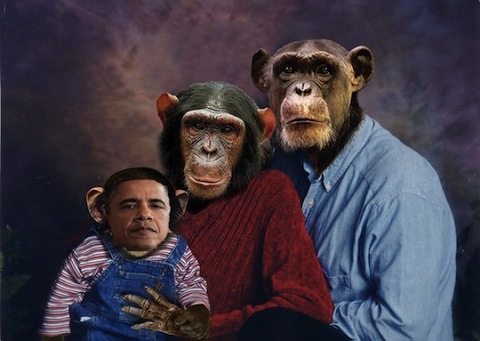 Driving Miss Davenport, or a Racist Orange County Republican Emails a Picture Depicting President Obama and His Parents As Apes? I suppose in the white bread world of Orange County – or in Jefferson Davis’ Administration – this kind of thing is considered funny, but one has to wonder what kind of person would think so. But not all the Republicans who received the email were amused. Yeah, she’s a really, really sweet old lady, with (to borrow a phrase from Glenn Beck) a deep seated hatred of black people, but she’s really, really sweet. But Baugh – much to his credit – believes the so-called email joke is a big deal. And Baugh isn’t alone in his condemnation, Michael J. Schroeder, an Orange County resident and former chairman of the California Republican Party, also said he was disgusted. 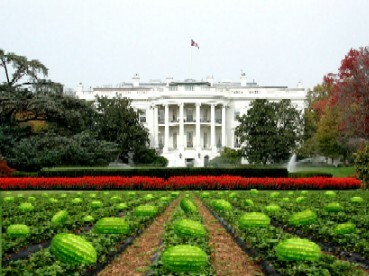 In February 2009, Los Alamitos Mayor Dean Grose, another Orange County Republican, emailed the White House watermelon image and then apologized. On Saturday afternoon Davenport sent an email to fellow Orange County Republican elected officials, apologizing if anyone was offended by her depicting President Barack Obama as an ape, while simultaneously blasting the “liberal media” for reporting the story. Excuse me? Is this is another case of, “just how stupid do you think we are?” Does Davenport really think average – non-racist – Americans are for one second going to buy her story? She didn’t think anything about race when she depicted the president – who’s black – as a monkey, and his parents as monkeys? Yeah, OK, I’ll buy that, and do you have a bridge to sell me too? The average person knows and agrees WHAT?! ARE YOU INSANE?! Were you dropped – repeatedly – as a child? Did you fall out of the dim-wit tree and hit every branch on the way down? You can’t be serious? You actually accept as true that “the average person knows and agrees [this] is much to do about nothing.”? I’m sorry but no one is this thick. She’s a perfect what? I have no doubt Whitacre believes every word of what he’s saying, but look here Tim; a “perfect lady” would never have sent the image. A “perfect racist” would; but a “perfect lady” would never have even thought of it, and would have been extremely offended to have received it. So, please, spare us your right wing Tea Party, birther, rhetoric. Grow up, be a man, and admit this was wrong. There’s nothing “ethical” in what she did, and her actions prove beyond a shadow of a doubt that she is no lady. As of Sunday evening Orange County Republican Party Chairman Scott Baugh had determined that his group’s bylaws prevented a vote to remove Marilyn Davenport as an elected member, even though she emailed a racist image of President Barack Obama to fellow Tea Baggers and Republicans. If sending a disgustingly racist image of the President to her fellow members of the GOTP wasn’t enough to have her not just removed, but forcefully removed, one has to ask, what exactly would Davenport have to do that would justify being kicked out of the Orange County Republican Party? We’ve been discussing this on my forum. Our token conservative is convinced Davenport is not an “elected official” in the true meaning of the phrase. Question: How was Davenport elected? Was she elected on a county wide ballot seen by all Republicans in Orange County or was she merely elected by her peers in the Committee?